A serial killer stalks a witness to an attack. 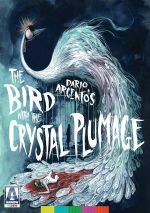 Legendary filmmaker Dario Argento made his debut with 1970’s The Bird With the Crystal Plumage. While in Italy, American writer Sam Dalmas (Tony Musante) witnesses a violent crime that involves art gallery owner Monica Ranieri (Eva Renzi). Though Sam plans to head back to the States, local inspector Morosini (Enrico Maria Salerno) forces him to stay and assist in the investigation. This becomes personal when it appears the assailant – a serial killer – eventually targets Sam and his girlfriend Giulia (Suzy Kendall). Even after 20 years of movie reviews for this site, I continue to encounter classic films that’re new to me, and Bird falls into that category. I knew of the title and of its director, but I’d never actually seen the film – or any other notable examples of the Italian “giallo” genre of thriller. Indeed, my only experience with Argento’s work came from his 2013 take on Dracula. That movie left me with the impression of Argento as a schlock-meister who created campy, cheesy “B”-movies. Which doesn’t hold true in the case of Bird, a pretty tight murder thriller firmly in the Hitchcock vein. Unlike someone such as Brian De Palma, though, Argento manages to exhibit the Hitchcock influence without the impression of impersonation. This means that while Bird displays a clear Hitchcock influence, it never comes across as a rip-off of the great filmmaker’s work. Argento takes the bones of Hitchcock and manages to make something of his own with it. Argento benefits from the presence of talented collaborators. Cinematographer Vittorio Storaro would go on to win three Oscars, and he shows his skills in this early effort, as he gives Bird a stylish, stark feel. Composer Ennio Morricone had to wait until 2016 to get his first Academy Award, but he was already a “name” in 1970 and he offers a score that accentuates the tension. Even though we’ve gotten umpteen serial killer films over the years, Bird still manages a fresh take on the topic. It becomes a consistently tight, winning thriller. The Bird With the Crystal Plumage appears in an aspect ratio of approximately 2.35:1 on this Blu-ray Disc. The movie came with a pretty good transfer. Overall sharpness appeared positive. At times, the image could be a little on the soft side, but it usually boasted appealing delineation and clarity. I saw no issues with jagged edges or shimmering, and edge haloes remained absent. Other than some marks during the credits, print flaws failed to appear. With its fairly chilly palette, the colors of Bird didn’t leap off the screen, but they worked fine. The hues came across as reasonably full and well-depicted. Blacks were fairly dark and dense, while shadows displayed solid smoothness. All of this led us to a better than average presentation. The LPCM monaural soundtrack of Bird seemed fairly average for its age. Speech lacked much depth or vivacity, but the lines remained easily intelligible and free from edginess. Typical for Italian productions, awkward looping marred the presentation, though. Effects failed to deliver much life, but they also didn’t seem problematic. The elements were clean and acceptably accurate, and they showed only mild issues related to distortion. Music seemed passable, as the score sounded decently distinct but they lacked much range and favored the treble side of the equation. Not much about the audio for Bird presented problems, but nothing about it stood out as impressive either. We get a good set of extras here, and we open with an audio commentary from film historian Troy Howarth. He presents a running, screen-specific view of the film's roots and development, writer/director Dario Argento's involvement and its place in his catalog, cast and crew, locations and sets, music, cinematography and editing, and aspects of the giallo genre. From start to finish, Howarth offers a fine commentary. He touches on a broad array of topics and does so in a thorough, scholarly manner. We get a great look at the film from this engaging chat. A few featurettes follow, and we start with Black Gloves and Screaming Mimis. In this 31-minute, 54-second piece, critic Kat Ellinger discusses the project’s origins and story/character elements, comparisons to the novel on which Bird was based, social and thematic interpretations. Ellinger delivers a pretty good look at deeper aspects of the film and its genre. Next comes The Power of Perception, a 20-minute, 57-second reel with author Alexandra Heller-Nicholas. She looks at themes and imagery across Argento’s filmography and makes this a fairly insightful piece. Crystal Nightmare runs 31 minutes, 24 seconds and offers a 2017 interview with writer/director Dario Argento. He talks about aspects of Bird and its connection to his career. Argento provides a nice overview of these elements. With An Argento Icon, we find a 22-minute, five-second interview with actor Gildo Di Marco. From 2017, Di Marco chats about how he got into films, working on Bird and other facets of his career. Di Marco offers a likable and engaging chat. Lastly, Eva’s Talking fills 11 minutes, 19 seconds with a 2005 interview with actor Eva Renzi. She goes over her work in films, with a moderate emphasis on Bird. Blunt and outspoken, Renzi gives us a good talk. In addition to three trailers, the set provides a few paper materials. We find a double-sided poster, six lobby card reproductions and a booklet. 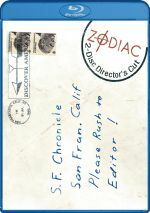 The last one includes essays from Michael Mackenzie, Howard Hughes and Jack Seabrook. All of these add value to the package. A second disc presents a DVD copy of Bird. As with most Arrow releases, it includes the same extras as the Blu-ray. A landmark in the Italian giallo genre, The Bird With the Crystal Plumage offers a solid thriller. The movie maintains a taut pace and creates a lively murder mystery. The Blu-ray provides pretty good picture and supplements along with mediocre audio. This winds up as a satisfying release for an entertaining film.